It seems like every week there is a new project either breaking ground, being announced or under construction (great for my beat). While they all have their role to play in the city, some are more transformative than others and some are just down right regression. But let’s look at the good. There are currently eight tower cranes lining the skies of Uptown with more set to rise this year. All of these projects will make an impact on our city beyond just adding to the skyline. These are the top five most transformative projects happening right now (in no particular order). So what do I mean by transformative? 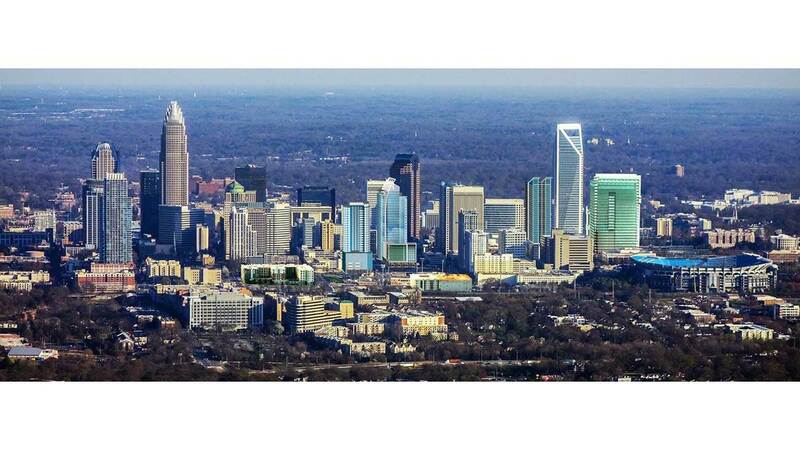 I mean projects that will improve life for Charlotte locals, improve the city’s economic heath and improve everything that makes Charlotte, Charlotte. I have covered this project for my entire time with the Agenda. It was actually the first project I covered, and the more it has continued to rise to street level from its giant hole in the ground, the more impressive the outlook. 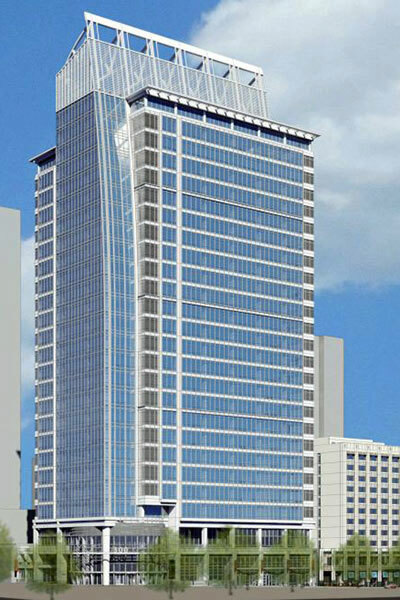 25-story (463 feet) office tower facing Tryon and a 19-story hotel facing Church St. This project includes a good amount of retail space, excellent pedestrian focus (that linear park is amazing), excellent/stand-out design for the building itself, the rooftop bar… The list goes on and on. On the surface, the project is an office and hotel tower — two things wouldn’t really appeal to the mass population of Charlotte. Not everyone is going to work in the building and not everyone is going to stay in the hotel. But Spectrum Properties incorporated so many elements that the general public will use on a daily basis. People will flock to the rooftop bar overlooking Third Ward, people will walk along the linear park and people will eat in the restaurants. These are the human scale things that take a project and elevate it above the rest. Steel is scheduled to begin arriving later this month and the building is expected to top out September of this year with a full project completion in mid 2017. Crescent Communities recently celebrated the groundbreaking of this project and I couldn’t be more excited to see it come together. This is an example of a project filling a huge void in the community (we need a grocer Uptown besides a tiny Teeter) and also being a catalyst to improving a major area of town. A grocery store, mixed use project with some apartments and hotels. Simple enough right? Crescent took that and ran with it, creating a signature project for the Stonewall corridor (which they’re again going to change with Tryon Place). The light rail plaza is a great use of spacing, combining transit plaza with public space. As you exit the light rail at Stonewall Station you are greeted by this project, and it will be a great introduction to Uptown as its urbanism evolves. On the ground, the store frontage is inviting as are the very wide sidewalks. Stonewall isn’t the most walkable street right now as cars zoom down it and the sidewalk is so narrow. Crescent will beef up the sidewalk and add medians which will help “enclose” the street and hopefully slow cars down. This project is under construction and Crescent hopes to have the first phase (apartments and Whole Foods) open in 2017. The Bank of America Plaza building is a beautiful black glass building that’s become a landmark of the Charlotte skyline. It does, however, have one major problem. Its street level couldn’t be more uninviting. That black glass goes all the way to the ground and as you walk down Tryon to the most important intersection of Uptown, the building does nothing to draw you in or complement the human scale. 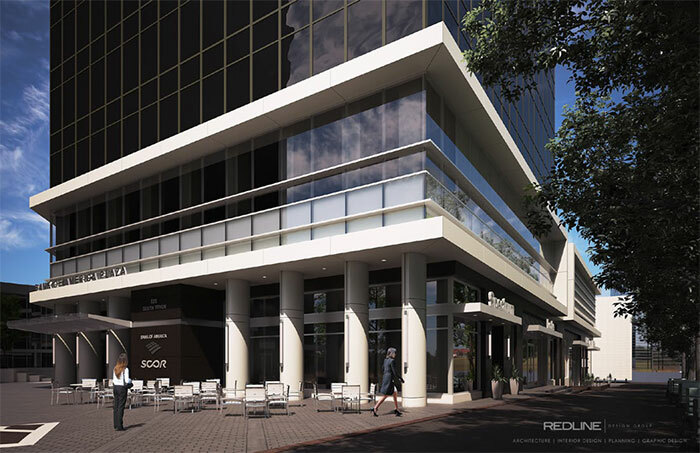 That is changing with TIER REIT putting $20 million into the building for a massive overhaul. Gone is the smoker’s alley and blank, ground floor walls. In are new retail spots, patio space, brand new high quality design and care for the human scale. While it isn’t perfect and is a bit corporate, the project does an immeasurable amount of improvement to the square and Tryon’s walking experience. 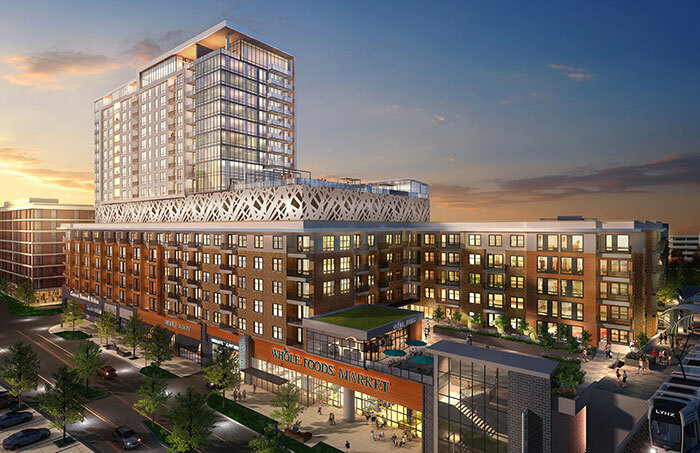 The project will add much needed retail space to Uptown while also retroactively righting the wrongs of Charlotte’s past (ignoring pedestrians). 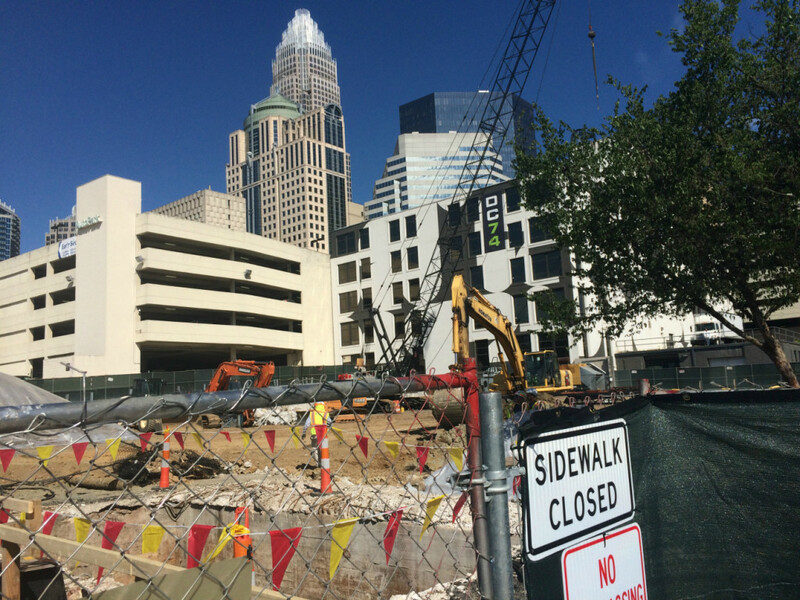 The pedestrian experience has become a hot topic in Charlotte development and rightfully so. This project is the second project (behind Essex) to transform the square and to understand human scale and change a building for the better. Construction is underway and will be complete by spring 2017. McKibbon Hotel Group and Vision Ventures are finally putting an end to the awful exposed concrete that has adorned the Epicentre since it first opened. 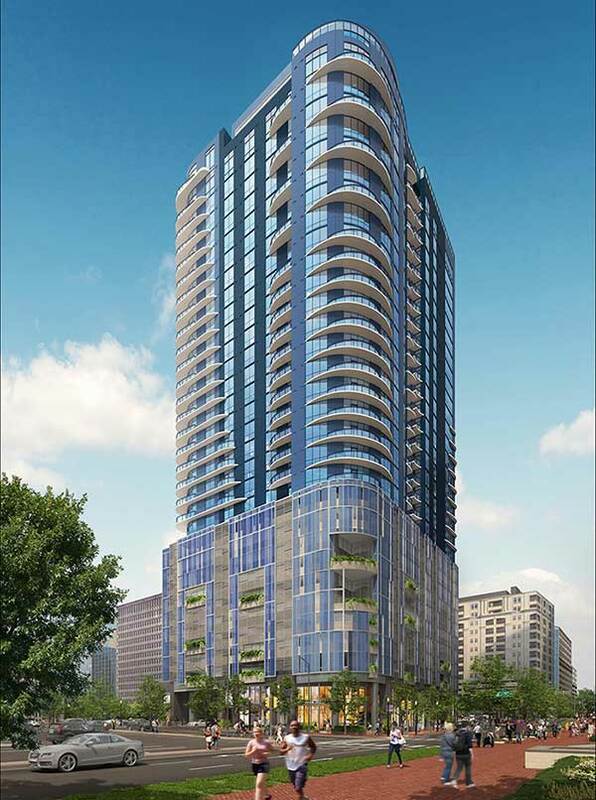 A 22-story hotel tower will soon grace the skyline with its rooftop bar, fifth floor lounge and 300 rooms. What makes this project so transformative for the city (besides the addition of much needed hotel rooms) is the impact it will have on non-hotel guests. 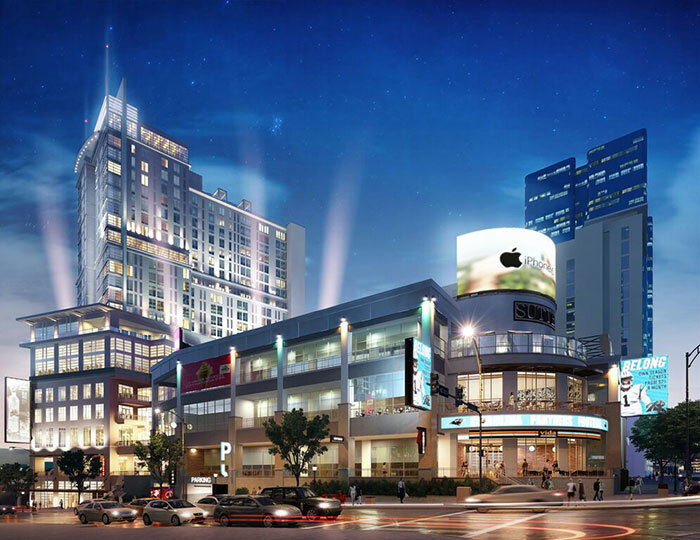 As with 300 South Tryon, the developers recognized that it is part of a community and not just a space for hotel guests. With that recognition they are adding the rooftop bar, a fifth floor lounge and restaurant and perhaps, most importantly, a revamp on Trade Street. Not only are they creating store frontage, they are also creating public space and making this area (currently a dead zone of the Epicentre) a vibrant last stop before you hit the first street car stop. Currently under construction, this project will be available for rooftop enjoyment and hotel bookings in Q4 2017. I wish Greystar would release more information on this project as it is incredibly exciting. 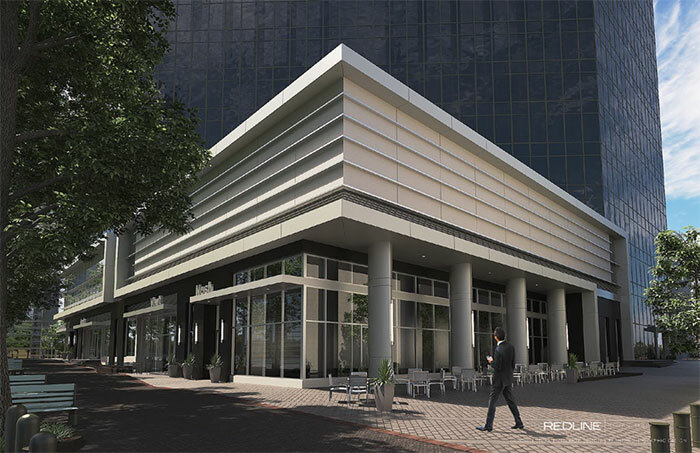 Overlooking the park, the retail spaces are sure to be desirable and will add even more walkability to Third Ward. I love the fact that they are putting “makeup” to disguise the garage. So many projects just leave their ugly parking garages out in the open while this one is being covered in shrubs, murals, glass, etc. Note: if this is value engineered out in the final product this project’s “coolness” will drop dramatically. This project will likely top out in the summer and hopefully begin renting by the end of the year.